Connecting people with nature is one of the Triangle Land Conservancy’s four public benefits. Our public nature preserves offer opportunities for an experiential, hands-on approach to learning about the environment. In order to enhance accessibility of our resources, we also offer a variety of educational programs to promote community conservation throughout the Triangle region. According to The Nature Conservancy, “66% of youth surveyed stated that ‘they have had a personal experience in nature’ and this made them appreciate it more.” The goal of our environmental education programs is to facilitate positive experiences in nature for youth who might otherwise have limited exposure to natural and open spaces in the Triangle. All our programs are free, educational, outdoors, and fun! 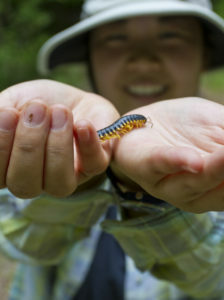 Nature Education programs strive to promote at least one of the four public benefits of land conservation in each program: safeguarding clean drinking water, protecting natural habitats, supporting local farms and food, and connecting people with nature. Our programs can be adapted to meet teaching objectives and to incorporate NC State Science Standards and/or Common Core Standards. Additionally, TLC AmeriCorps members can work with instructors to create an education program for your group. 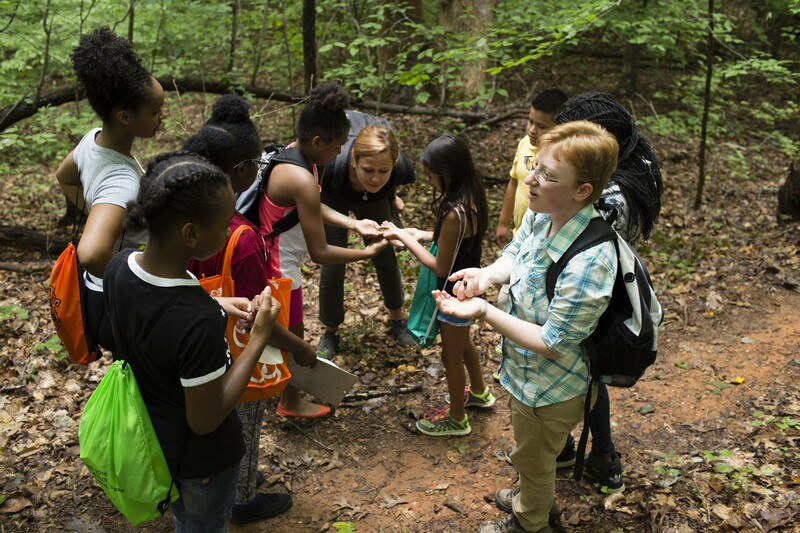 These programs can also include scientific investigations that teach observation and data collection skills, as well as principle stream and forest ecology. Guided Hike and Nature Walk programs are led by experienced staff who will point out features of the nature preserve, answer questions, and help your group discover local plants and animals. Our walks focus on experiential learning, encouraging groups to stop and explore the forests, fields, streams, and ponds of TLC nature preserves. Get Wild! 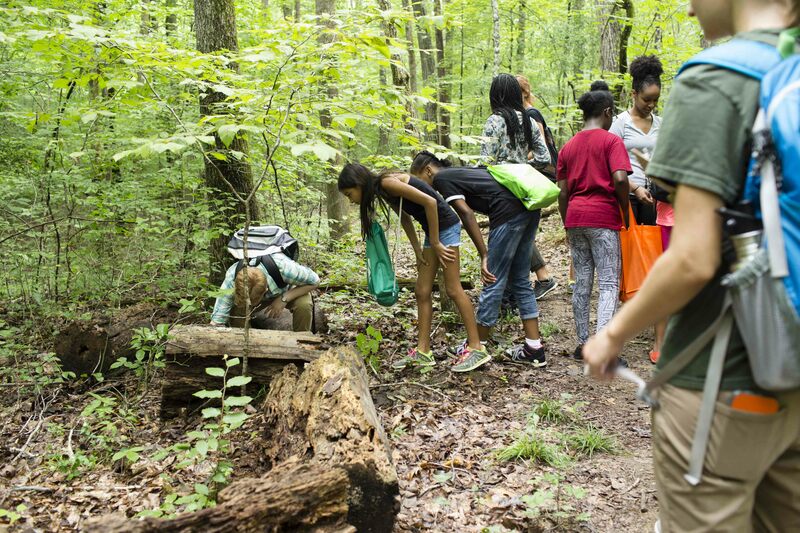 is Triangle Land Conservancy’s monthly series of youth-oriented environmental education programs made possible with support from Duke Energy Foundation and the Merck – Neighbor of Choice Program. These programs are free and open to the public, although pre-registration is required. Get Wild! 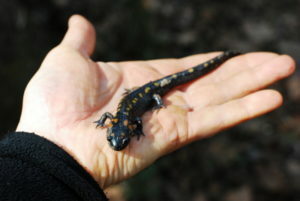 Programs rotate between TLC’s public nature preserves, and have focused on topics such as birds, salamanders, animal tracks, and creek critters. To view our upcoming Get Wild! programs, visit: https://www.triangleland.org/explore/events. TLC is partnering with Stagville State Historic Site to offer K-12 field trip programs at our Horton Grove Nature Preserve focusing on aquatic ecology, water conservation, and the history of water and resource use in the area. For more information or to schedule a field trip, visit http://www.stagville.org/. Programs can be held at any of TLC’s 6 public nature preserves and several of our private properties in Durham, Chatham, Wake, Orange, Lee, and Johnston Counties. If transportation is an obstacle, TLC will work with your group to explore available options in your region. Note: Please be aware that there are no bathroom facilities at any of our preserves. However, TLC can provide port-a-potties if needed for programs lasting longer than two hours. If you’re interested in a service project please see our Volunteer Page for more information. There have been many studies done on the positive impact natural spaces can have on youth of all ages. The benefits range from mental to physical health properties, and also include academic improvements in school. Giving kids a space to spend more time outdoors promotes not only, physically active, but also promotes self-awareness of limits and positive mental health benefits. By pairing nature programs with traditional classroom exercises, students are able to further develop skills with new or different interpretations through nature, and students have also recognized personal growth through new experiences that have taken them out of their comfort zone. Children who spend time in natural and green spaces have reduced stress levels, and are more capable of dealing with difficult situations compared to children who are not actively outdoors. 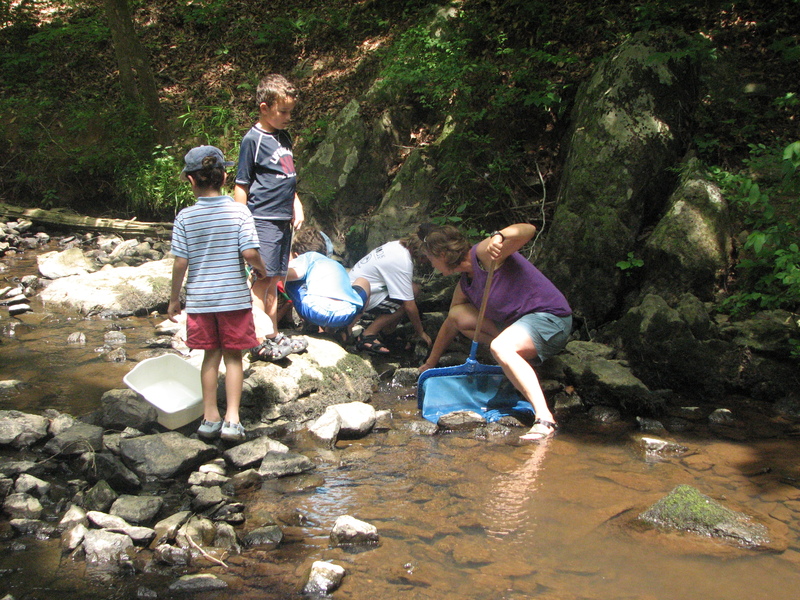 Taking kids into nature allows for discovery and exploration. This has been shown to promote good behavior, reduce conflicts, and promote positive cooperation between students and with adults.